I definitely share similar views with this great blogger. unity and power in numbers. As we progress forward in development, I believe we shouldn’t forget our roots and where we come from. It’s what defines us as individuals. We ought to take control of our lives wherever we are and minimize the impact of outsiders taking over our community/lives, in a collective manner. I have noticed lately that there seems to be a rise in religious overzealousness without much practical applications to fundamental religious teachings of being a responsible citizen of the community. While I have derived my observations specifically from my interactions with fellow Muslims from my East African community via social media sites, this trend seems to be more pronounced among social circles that identify themselves as fairly conservative and traditional. Before I go any further, I would like to state that I am pro-democracy and free speech, and I believe that each person is entitled to living her/his personal philosophy as long as it doesn’t harm others. The problem I have is that there are plenty of ‘proud to be Muslim/Islam is the best’ declarations without much practice to them. The old adage “Talk is cheap” has not survived this long for no reason-people tend to say a lot without necessarily doing a lot. It actually livens you up. It is the best remedy for uplifting moods. Feel down, just attempt looking at the humorous bit of it. It is definitely frustrating but not impossible. There’s always a silver lining somewhere. If I had known earlier, I would be miles away in being a happy soul. Either way I am glad for the learning experience I am going through. I’d say I was always a moody person, the probability of finding me moody was 90-10% and that 10% was during my escapades into TV comedy shows and small sister moments. They were my major outlet. It’s not that I am a moody person, I just find myself moody for no apparent reason. I just couldn’t explain it. Funny thing, first encounters with people, I always pass off as this jovial happy person. The moody me was experienced by people I am used to. Oh and didn’t I have theories for why I was moody. It’s the hormones, it’s that time of the month (even if I was far from it), am just feeling down, I’m hungry, I need a quick nap, it’s a headache, it’s the heat. Looking back I have realized that what I never accepted was the fact that it was just me. I was moody. Smile, it takes away the tension somehow. Don’t give in to the inner laziness and accept it. Laziness eventually makes us feel sluggish. Exercise: it makes you feel so active and energetic and takes care of the sluggish feeling. I have taken to walking for at least an hour a day, and the difference is noticeable. Furthermore you cut down on those extra calories 😉 If I go for days without exercise, I easily get cranky and temperamental. Look for the silver lining: my small sister is an inspiration in this aspect. She amuses me. I have learnt how foolish I am and have been by the way I easily over-react to small things. She totally laughs at me, doesn’t even hide it till I feel extremely stupid and I realize I shouldn’t sweat the small stuff. I remember this one time I got so annoyed because it started raining. I was thinking now what? Endless jam, terrible roads, mud, wet, hiking of fare prices, limited public transport, everything that I could think of. People in Nairobi, you know what I am talking about. My sis just laughed at me and asked me…”So what can you do about it? Either way you’re still going to have all that, might as well enjoy the cooling effect its bringing and resting along the way in traffic.” I know I still have a long way to go in this area but I am totally loving it and trying to find that silver lining. Outdoor activities: I always have this adrenaline rush, I enjoy and absolutely love experiencing it. Running, being carefree (always a kid at heart), discovering places, indulging in physical activity such as hiking, swimming etc. What about you? Have you thought of what makes you happy? Try making them a part of your routine. However today was a different case. As I was walking towards Nyayo stadium matatu stage I could distinctly hear the sound of music. 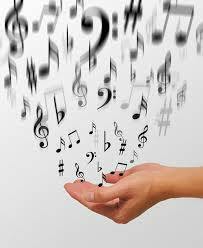 The sound of beautiful musical instruments in synchrony. 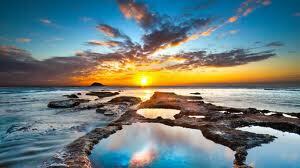 It was so beautiful, harmonious, soothing, peaceful, relaxing yet at the same time energizing. I could not wait to arrive and see the source of the music. I come across some beggars along the way and as usual the parents victimizing their pretty children to do their dirty begging work. So sad. This memory will forever be etched in the children’s memory and they will eventually develop a mentality of begging as the only way to acquire money. Maybe I am being too judgmental, I certainly don’t know what they are going through or circumstances that had lead them to such a situation, nevertheless I believe in effort.Back to my music, I finally approach them and Oh my! They are a group of disabled people but happily playing their instruments. They looked so happy and passionate doing it. It was greatly inspiring. I was happy to tip them for their good effort; entertaining early morning commuters and passersby whilst trying to make a living in their own way through tips. That is true inspiration. They have not taken their disability as inability at all. I felt sad for the other beggars this morning. Having to watch a new group who’ve invaded their territory and rocking it yet them helpless as ever. However I sure hope they borrow a leaf and try to do something about their situation. Today I challenge you. Hope you are doing something about your life and not just sitting in despair waiting for manna from heaven. Everything takes effort and great things are realized through effort. I still don’t get the reason why some people say they can’t eat immediately they have cooked. Personally any time is eating time for me, of course except instances where the entire cooking process was too long and exhaustive. 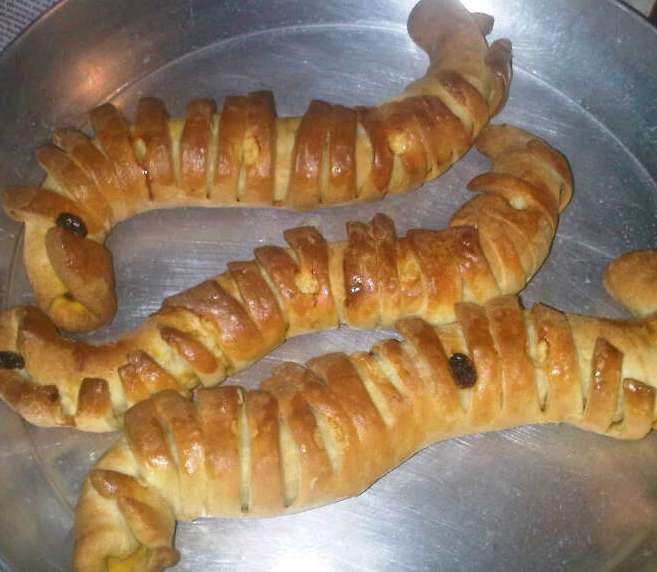 Anyway yesterday we made caterpillar bread. Sounds scary huh? Truth? Far from it, even the outcome in terms of taste and look is fabulous. Thanks to Fauzia’s Kitchen Fun for her amazing and easy to follow recipes. Furthermore instant feedback for any queries you might have regarding cooking. 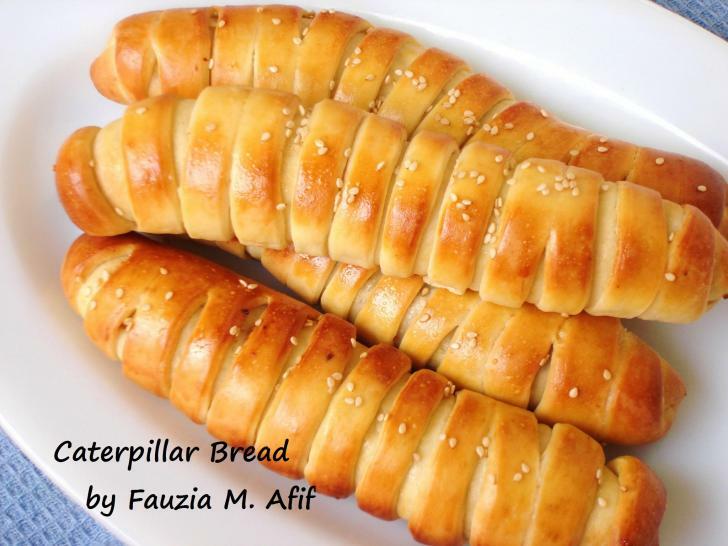 Here is a link for the caterpillar bread and includes step by step process on how to do it. Feel free to browse her other recipes. Various categories and diverse cultural meals included from the east to western meals. For beginners in cooking, this is definitely a must use cook site. Regardless of not being an expert on dough stuff and baking 😀 I still like experimenting. Normal look from the chef should be something like this..